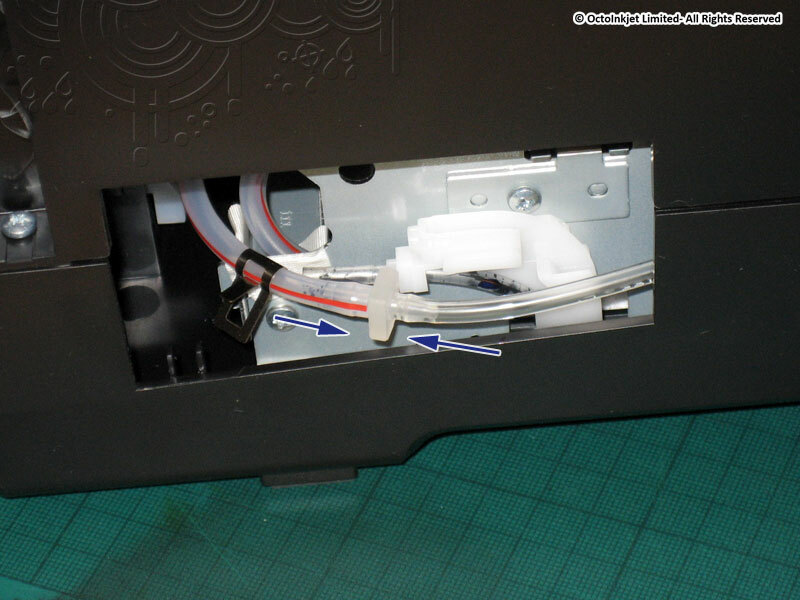 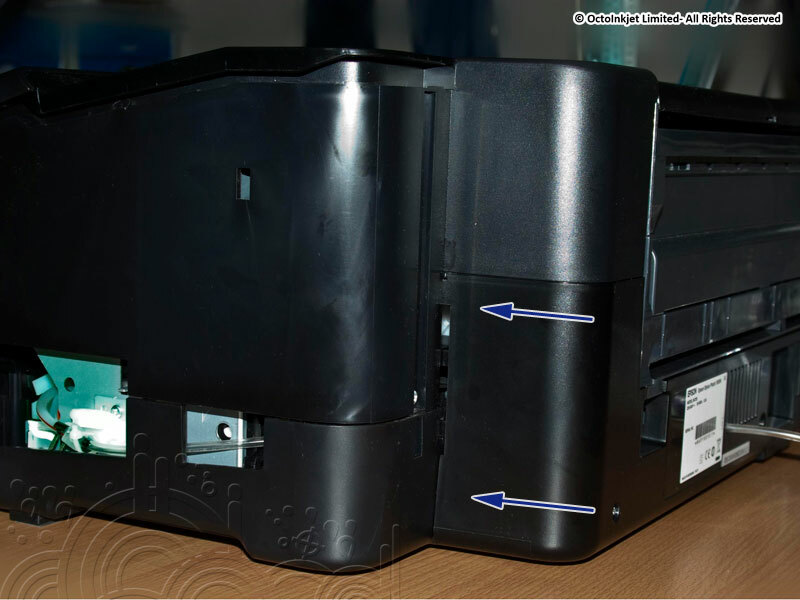 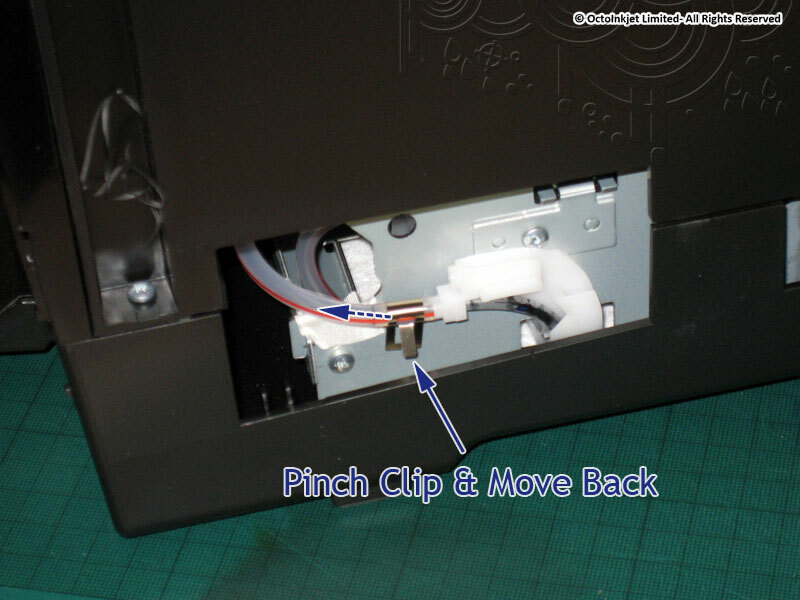 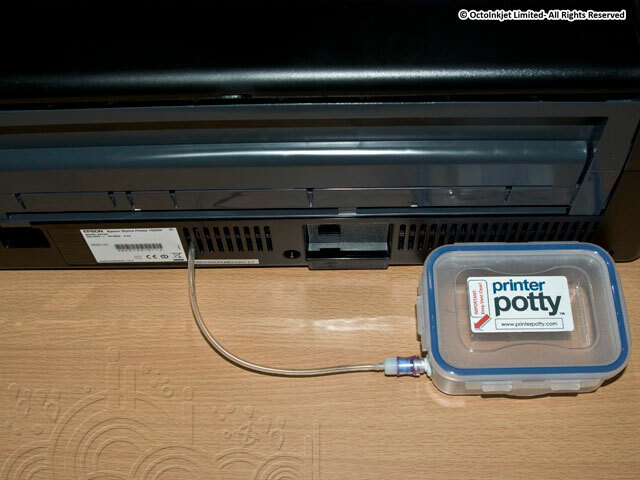 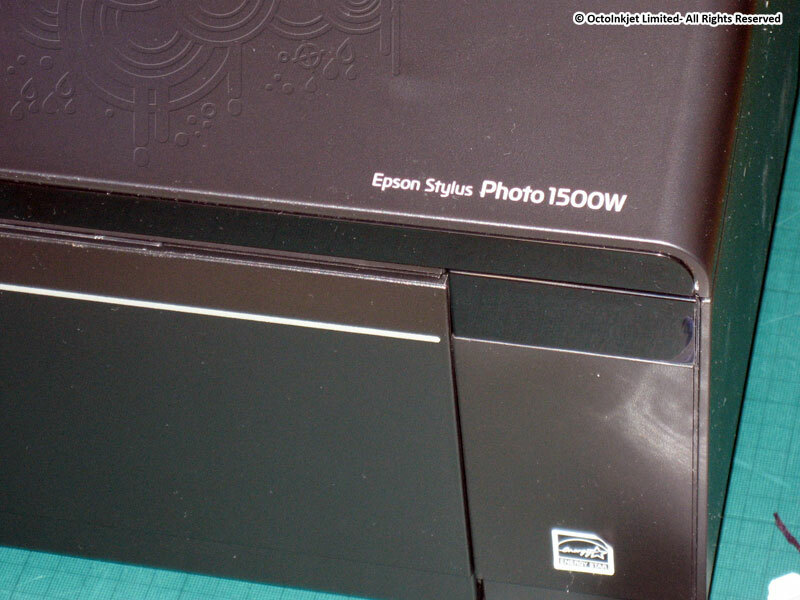 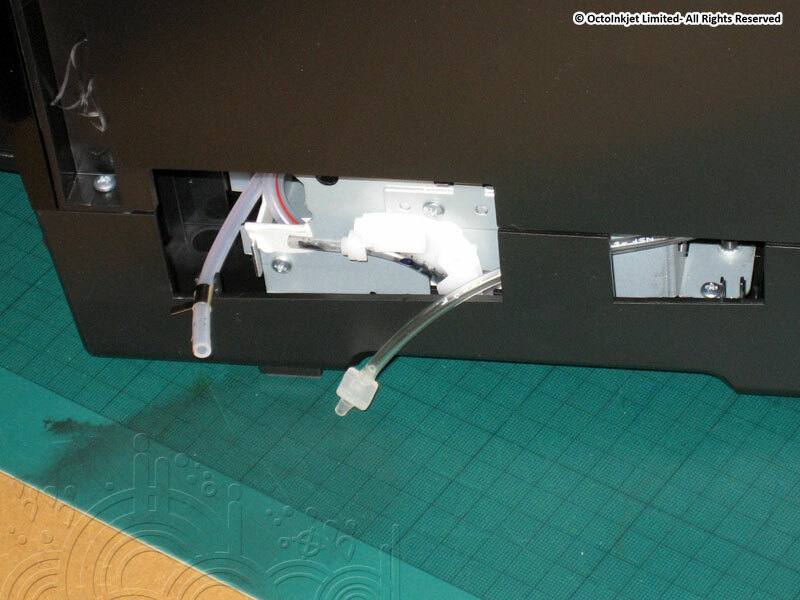 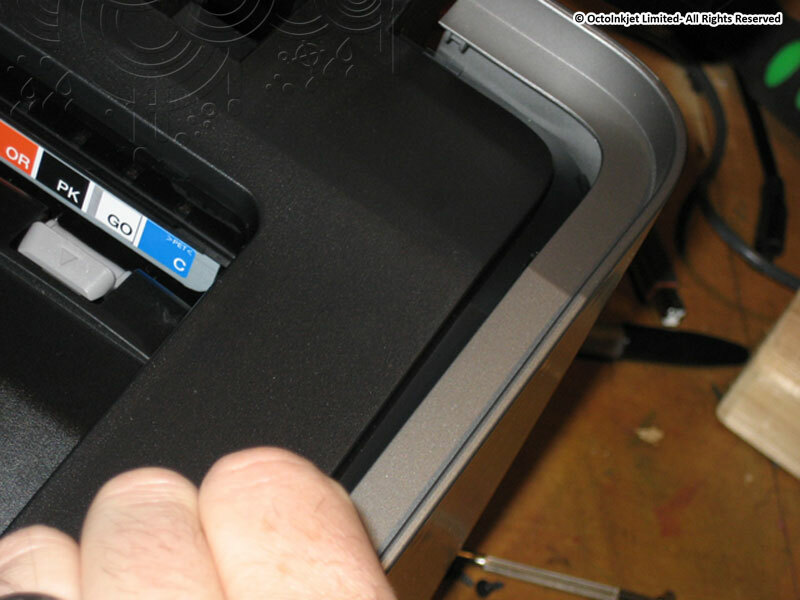 Printer Potty installation guide for the Epson Stylus Photo 1500W and Artisan 1430 using the SoloMax waste ink kit. 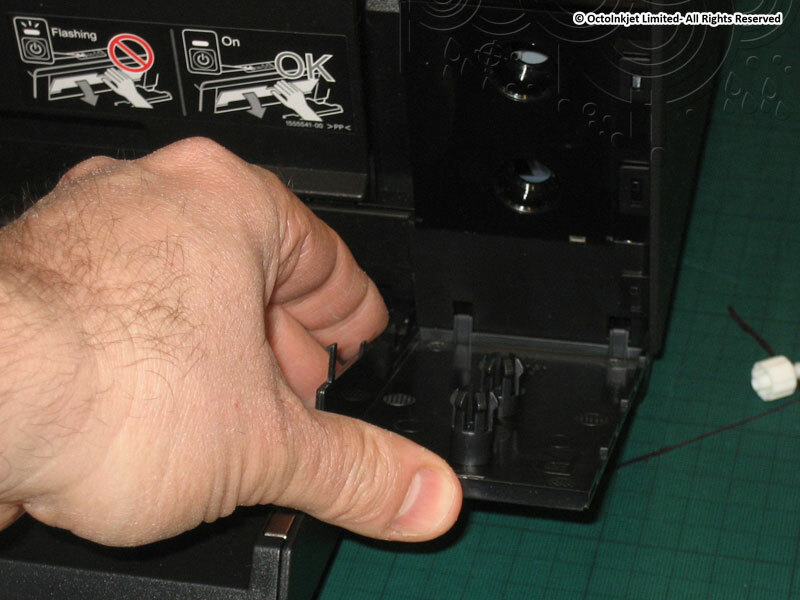 Use a flat edge (eg: watchmaker screwdriver) to gently ease the front tabs forwards and off the bottom of the retaining lugs. 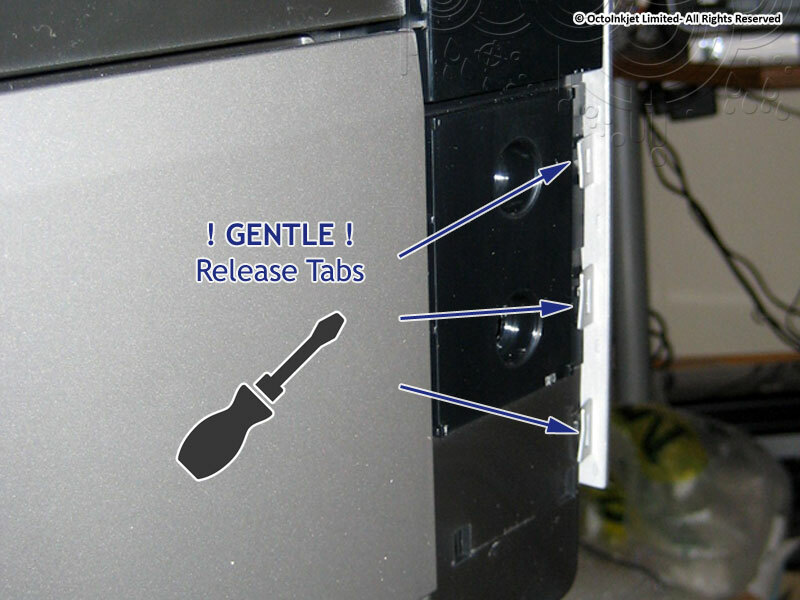 Once the tabs are released you should feel the panel start to pull free so gently encourage this up and out. 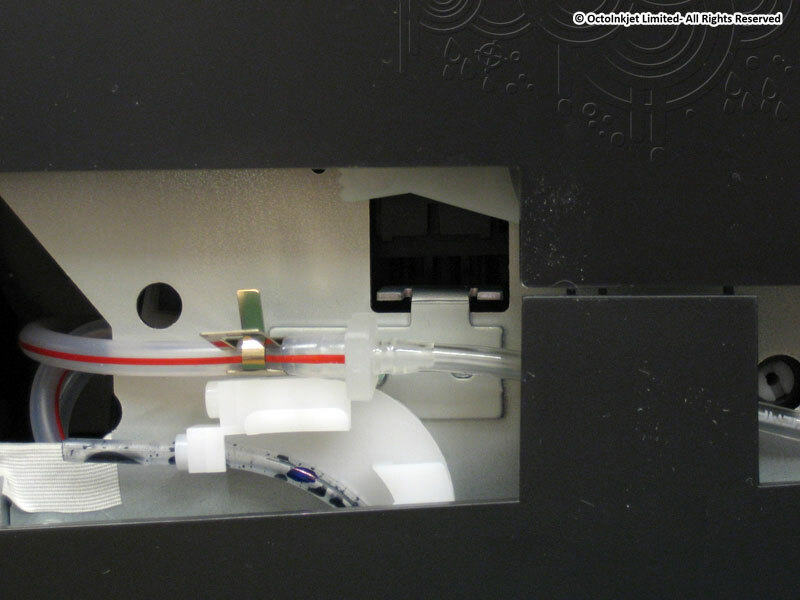 Gently ease the flexible waste tube (red stripe). 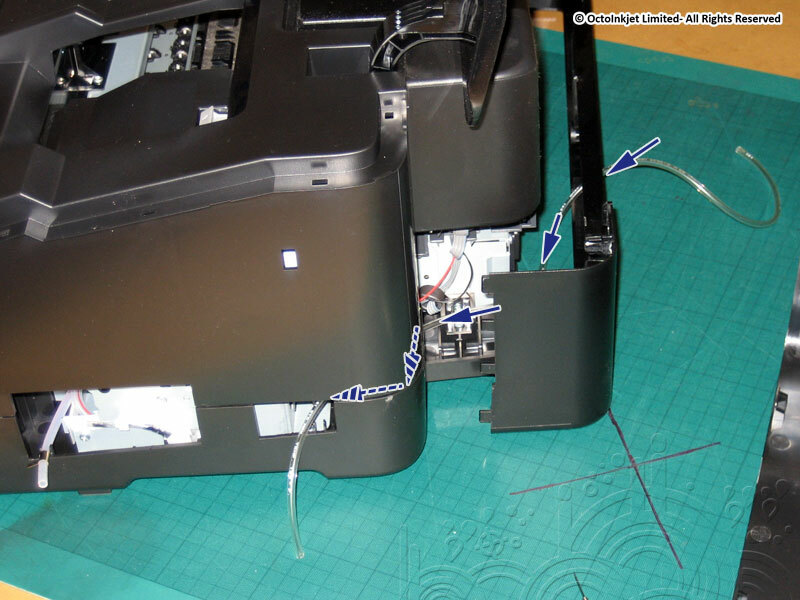 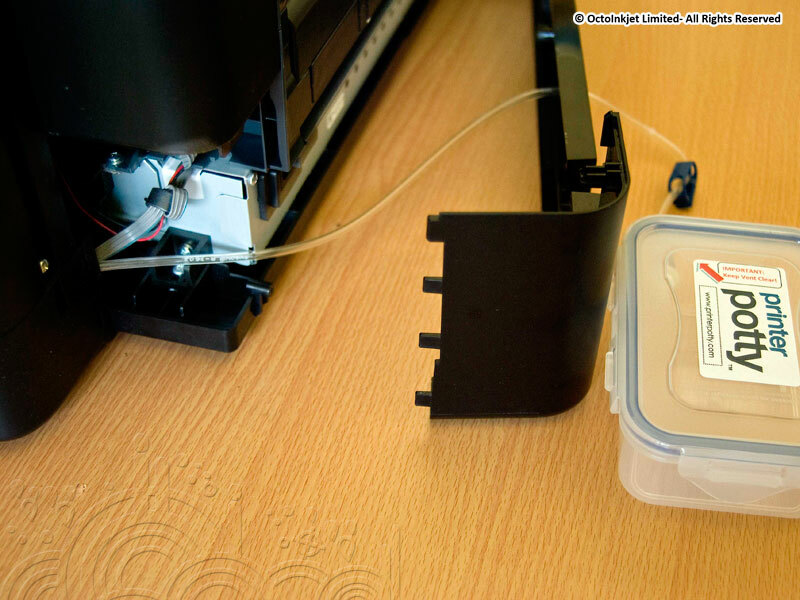 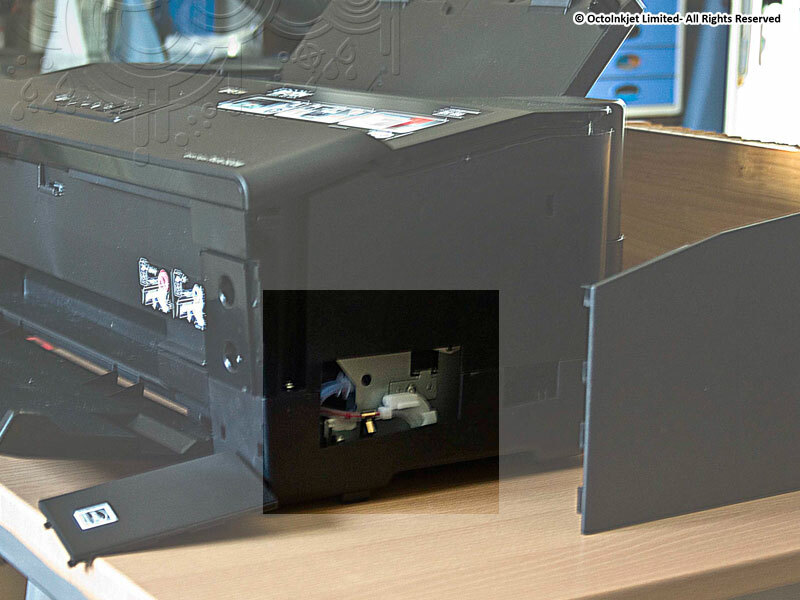 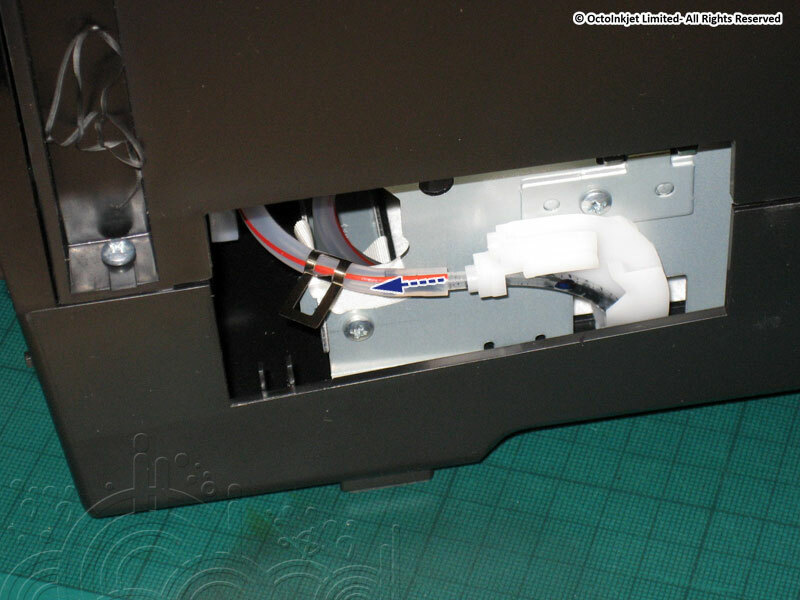 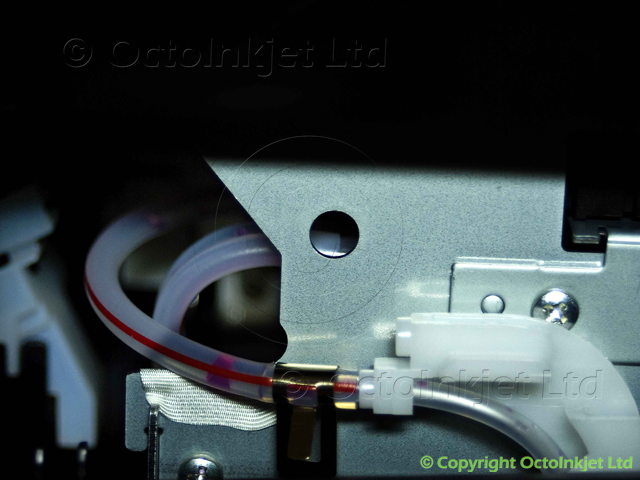 Tip: Remove clear internal connector and thread from outside (grill) inwards leaving the tube clamp and coloured connector outside of printer. 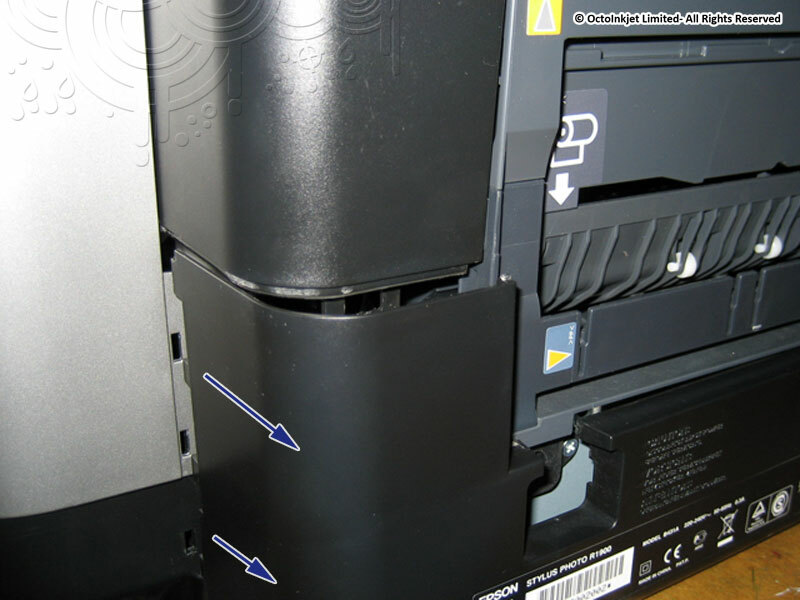 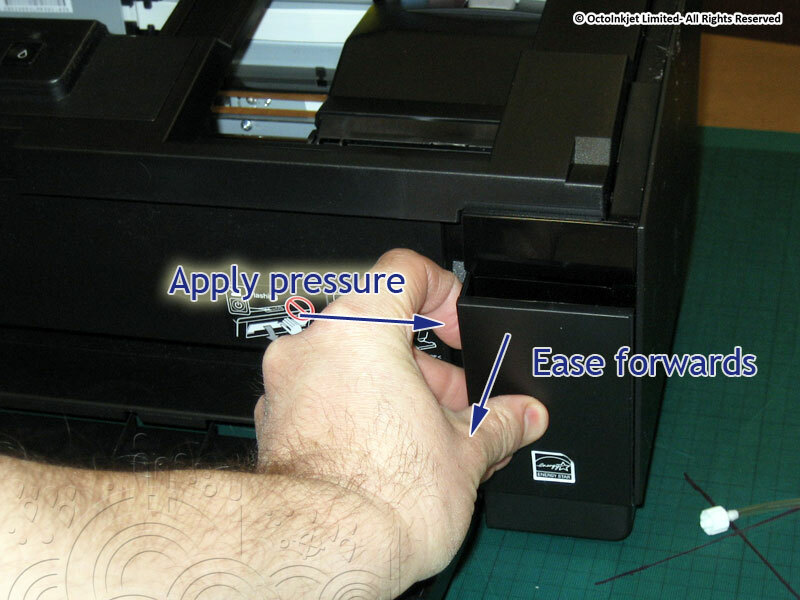 Make sure the tube sits inside the printer and you may want to secure the tube against the mount point shown. 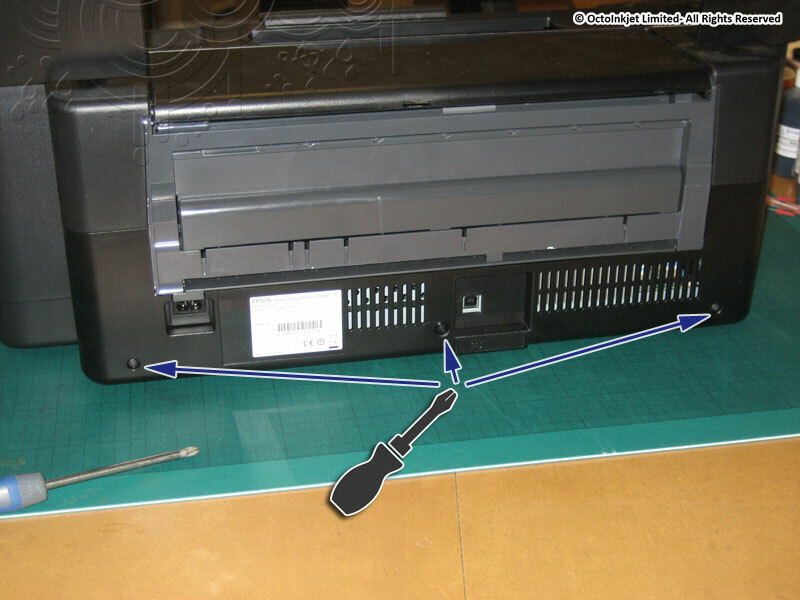 Replace in reverse of process for removal.